Nootropic supplements are commonly called “smart drugs” for the very simple reason that they make you smarter. If you’re going to take a smart drug then you might as well taken one of the smartest in IQ2. So what makes this nootropic supplement so different? It uses cacao. We’ll tell you all about it with our IQ2 review. The primary ingredient in this nootropic supplement is cacao. Cacao is different from regular cocoa in that it is raw and unprocessed, whereas coca is heavily processed and nowhere near as healthy. Cacao is one of the most powerful antioxidants there is and has been shown to improve memory, concentration, and stamina; making it an ideal ingredient in a nootropic supplement. Choline is literally brain fuel. It is needed to boost memory, learning, and concentration. It has also been shown to fight memory loss, improve concentration, and help you sleep better at night; making it an important part of IQ2. DMAE has been shown to improve physical and mental stamina, focus, and short term memory. It helps you sleep at night, improves your mood, and even boosts willpower and helps you make smart decisions. Huperzine A is a great natural memory booster. It protects neurons and improves your ability to create and retain memories. A lot of research has been done on guarana that shows it improves mental clarity and energy levels. It’s a great natural source of caffeine that also improves your mood, boosts your energy levels, and helps control your appetite. Acetyl-L-Carnitine, also known as ALCAR, improves mood, memory, and energy levels. It’s also a powerful antioxidant keeping your brain and body safe from decline. The IQ2 nootropic supplement contains a vitamin B-complex that further boosts your brain and helps it make use of the other ingredients. The B-complex complements the package perfectly and brings everything together. The cacao flavonoids in IQ2, along with the nootropic ingredients of the supplement, work great for improving mental and physical stamina. Most nootropics only boost your brain, this is one that also boosts your body. IQ2 improves focus, mental concentration, and general alertness. It can be difficult to focus on studies or other mentally demanding tasks. If you need to get something done then IQ2 could be the answer. Cacao contains some very powerful antioxidants. These antioxidants work to improve your overall physical and mental health. Antioxidants clean out your body of everything that makes you sick and have even been shown to prevent cancer. The brain boosting effects of IQ2 work to keep your brain healthy as well. 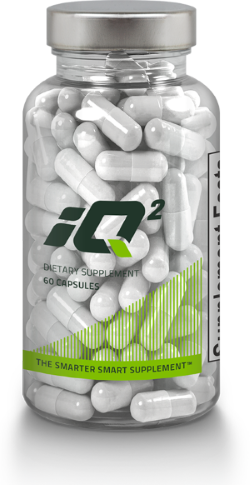 Like most nootropic supplements IQ2 is the perfect memory booster. It makes it much easier for your brain to create and retain memories. It’s an ideal choice for the student looking to memorise everything they can to pass a big test. The memory boosting effects are so potent that they even help with neuro-degenerative disorders such as dementia and Alzheimer’s disease. If you’ve ever been worried about your memory then you need to try a nootropic supplement. The inclusion of cacao powder might sound like a bit of a gimmick at first but there’s no denying that it really does work. It’s been proven to be more potent than many of the main sources of antioxidants such as blueberries and green tea. When combined with nootropics and turned into a full supplement like IQ2 it has incredible power. 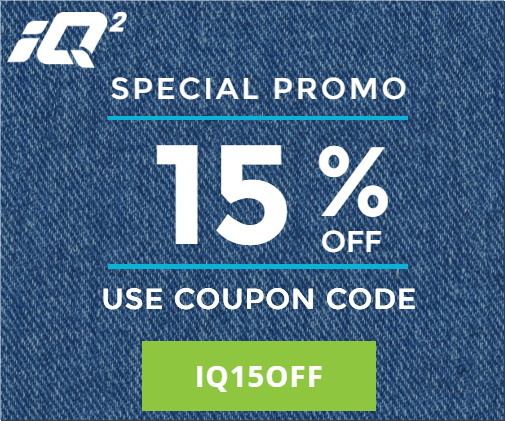 One other really cool thing is IQ2 donates 10% of its revenues to the Cure Alzheimer’s Fund. So try IQ2 for yourself risk-free thanks to the money-back guarantee.